AUCTION BROUGHT FORWARD TO 3.30PM SUNDAY 1ST MARCH - ONSITE. 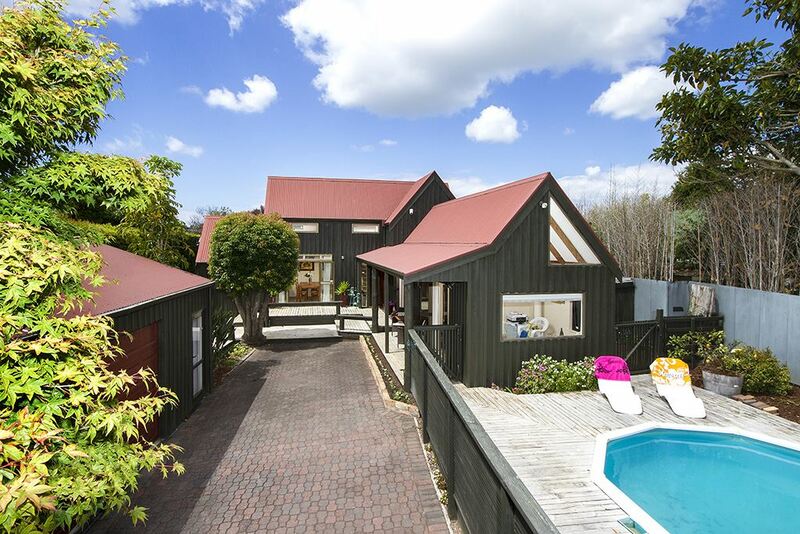 Nestled beautifully in an elevated position on a prime piece of Olde Greenhithe land (1019sqm more or less) is this lovely weatherboard home. Charm & privacy surrounds this well maintained home, its cosy and cute, it has a swimming pool and lovely outdoor entertaining spots. Snuggle up next to the wood burner in the spacious lounge area and enjoy the stunning water vista. Featuring 3 bedrooms and a nicely refurbished family bathroom. The master bedroom has his and hers ward-robing and off the master bedroom is a study or room that could be used as a nursery. The kitchen has been modernised and is stylish and functional including gas hobs and a dishwasher. Two further bedrooms are upstairs with views out over the water and the upper level also has a powder room. Add to this a plus sized extra large double garage, loads of off-street parking plus room for a boat! This secluded gem is perfectly situated for easy access to the shops, cafes, bus routes and the motorway. This one is going to go, it will tick a lot of boxes for small families and couples, be in quick to secure this fantastic offering!